Best-selling author and renowned herbalist Rosemary Gladstar shows you how to use 56 common herbs to address a wide range of everyday ailments, from burns, wounds, and itchy skin to headaches, congestion, indigestion, strains, bruises, sore throats, coughs, fevers, colic, cramps, and insomnia. She also shows you how to stock a simple first-aid kit with safe, effective herbal remedies. Homemade herbal recipes from renowned herbalist Rosemary Gladstar are the natural alternative to a medicine cabinet stocked with commercial pharmaceuticals. 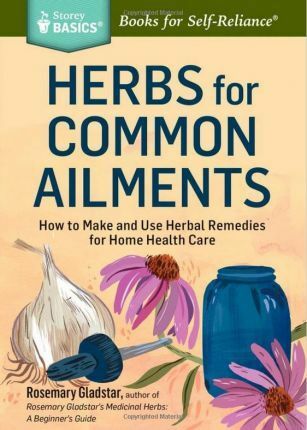 In this informative guide, Gladstar profiles more than 50 herbs that are safe and effective for treating common ailments and injuries, including headaches, colds, insomnia, burns, and cuts. Discover recipes for salves, teas, tinctures, and more, along with instructions for making an herbal first aid kit. With decades of experience, Rosemary Gladstar is the perfect mentor to help you begin exploring the wonderful world of herbal medicine.